Is it just me or is the back of a wedding dress just as important as the front? Especially if you’re going to be married in a church, people are going to be looking at your back for an awful lot of the ceremony… not to mention those people in the back row have a lot of looking to do before you get to the front of the aisle! Here are some of my absolute favorite backs of wedding dresses. Happy Friday! There’s an awful lot of pretty happening on Pinterest this week. Hope you enjoy a few of my favorites. I’m all about wedding flowers that are just a little different. A unique color scheme or grouping of flowers that add texture can really make a big impact on your day. Here are some of my favorite ways to add that dramatic effect to your wedding. I love lace. The boyfriend, not so much. I believe lace gowns look like “tablecloths” to him. Blasphemy. Well, surprise Andrew… someday I’ll be walking down the aisle in one of these bad boys! PS: I love you as much as I love lace. I just had to share these images with you. There is so much pretty in these four photos I’m about to explode. 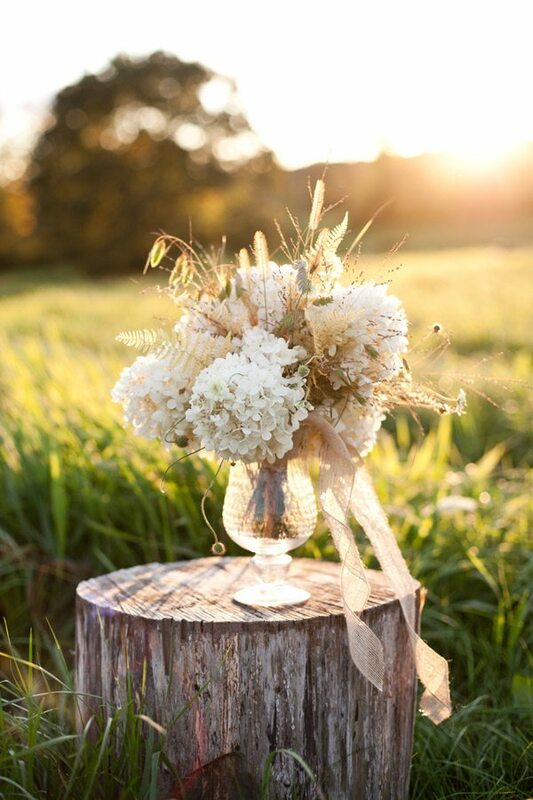 Doesn’t this make you want to frolic around in a field wearing a wedding dress and holding that gorgeous bouquet? I know I’m not the only one.